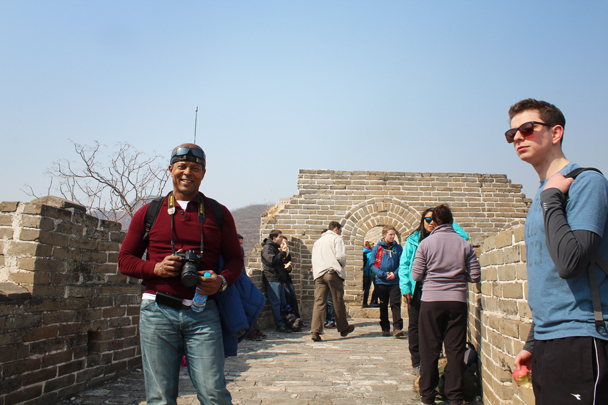 In Brief: 25 photos from a hike along the Longquanyu Great Wall. 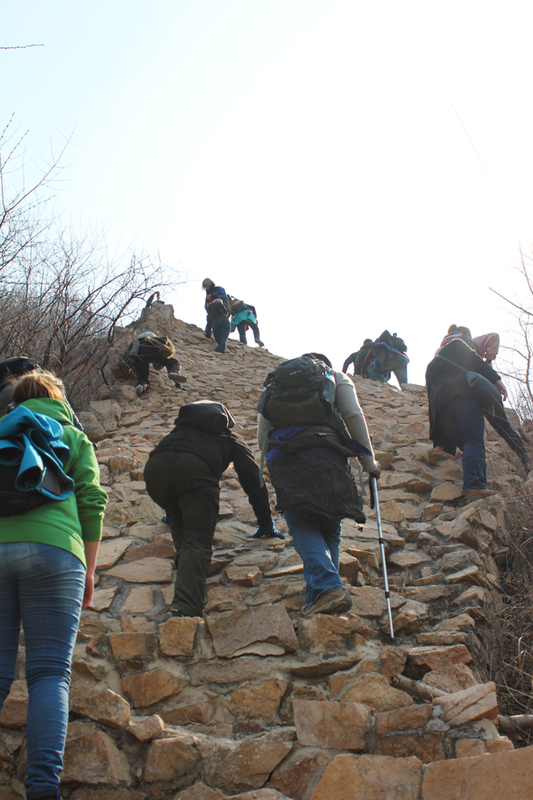 The Longquanyu Great Wall is found in the hills north of the Ming Tombs, and it's a short section with some very steep climbs. 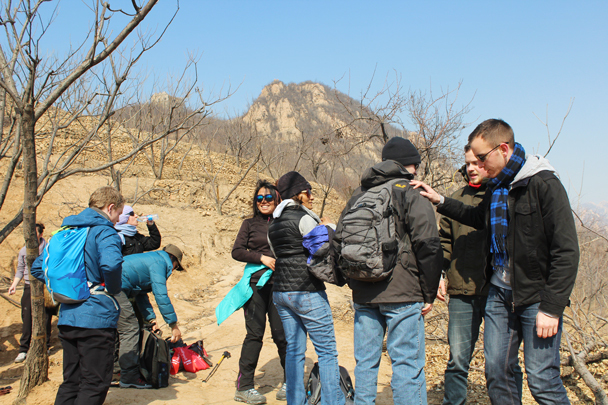 The weather for the hike was nice and warm – as though spring had arrived early! 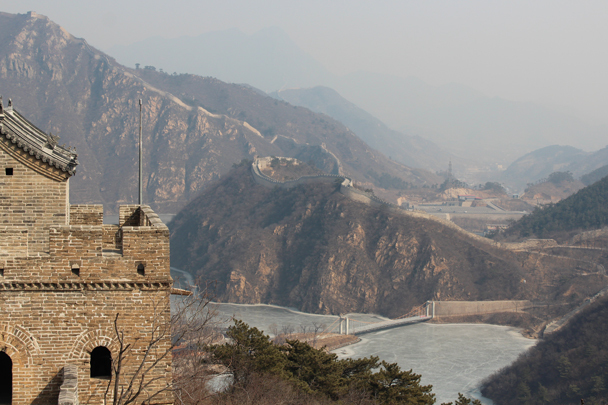 The scenery in the hills hadn't caught up, though: all brown and bare, and the Little West Lake was still fully frozen. 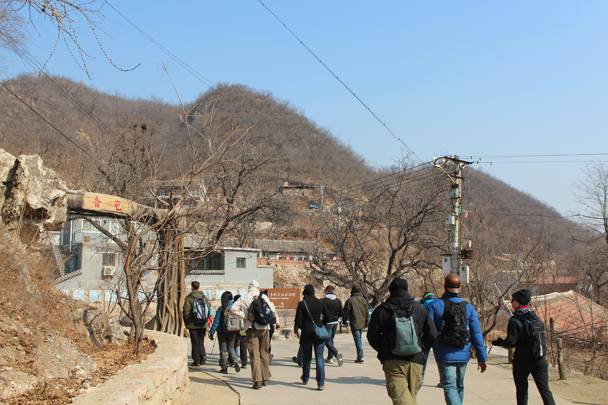 We hiked through a little village to begin the hike, and then climbed the hills behind the village to find the Great Wall. 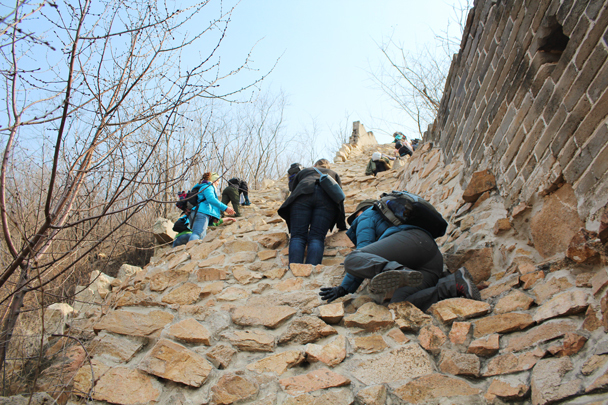 We followed the Great Wall through the hills, climbing up to a high point, then down into a valley, and then up a super steep section to get to the highest point in the area. 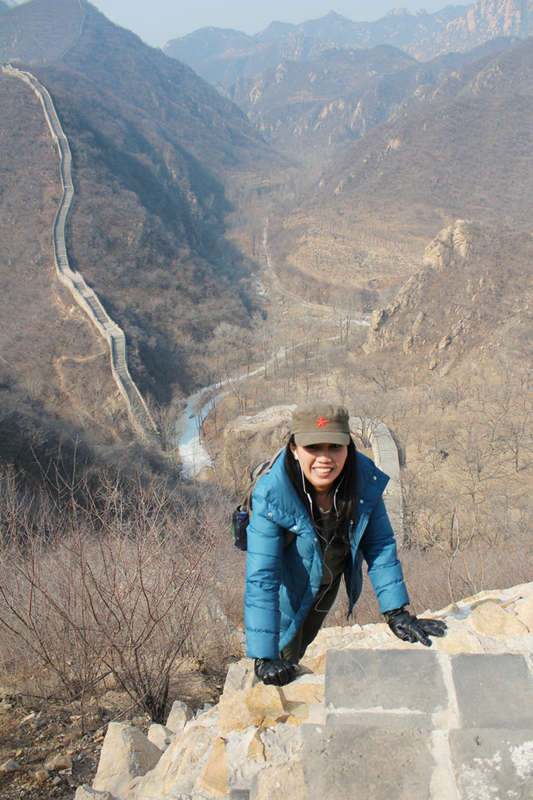 A tough climb, but well worth it for the views. 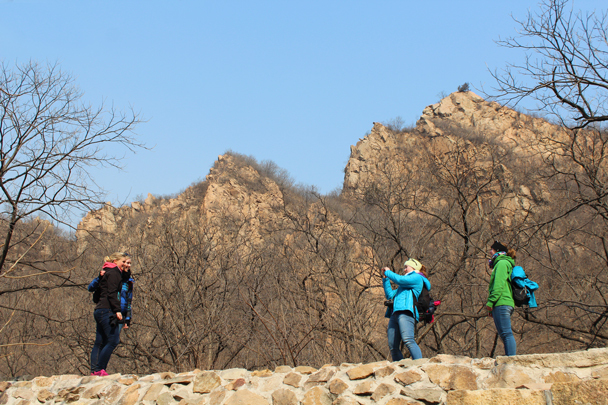 To finish the walk we hiked out past the Little West Lake, a reservoir in the hills. 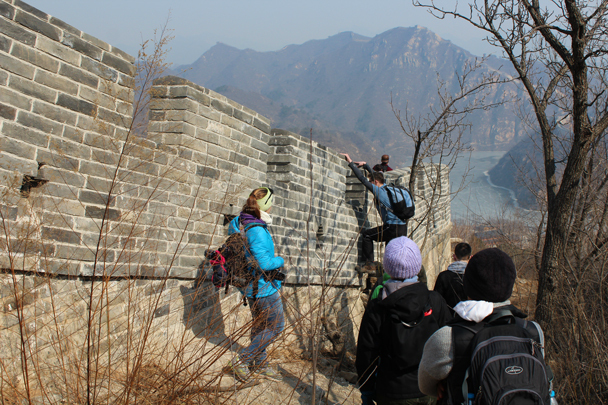 See 24 photos from the walk on the wall, right here! 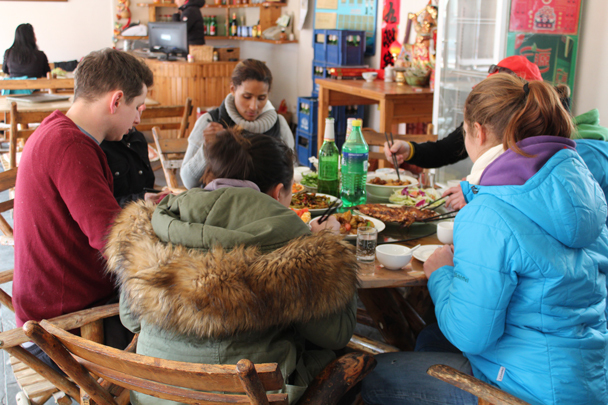 On our way to the Great Wall we passed through a small village. 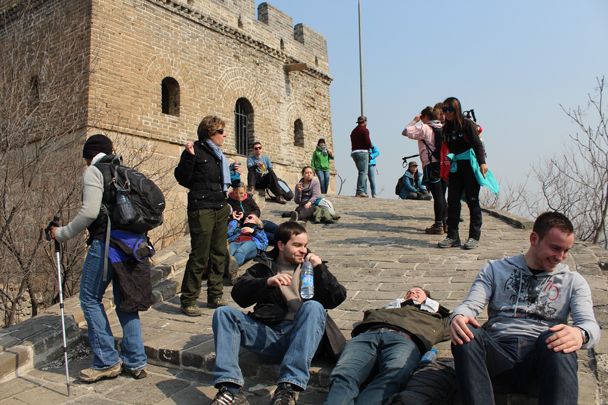 Taking a break on the way up to the Great Wall. Almost there! 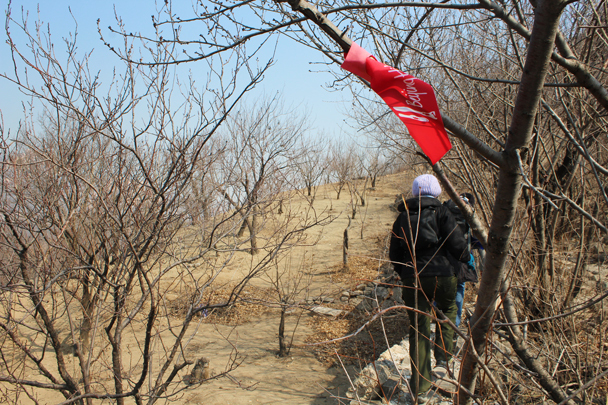 Red ribbons marking the trail on to the Great Wall. 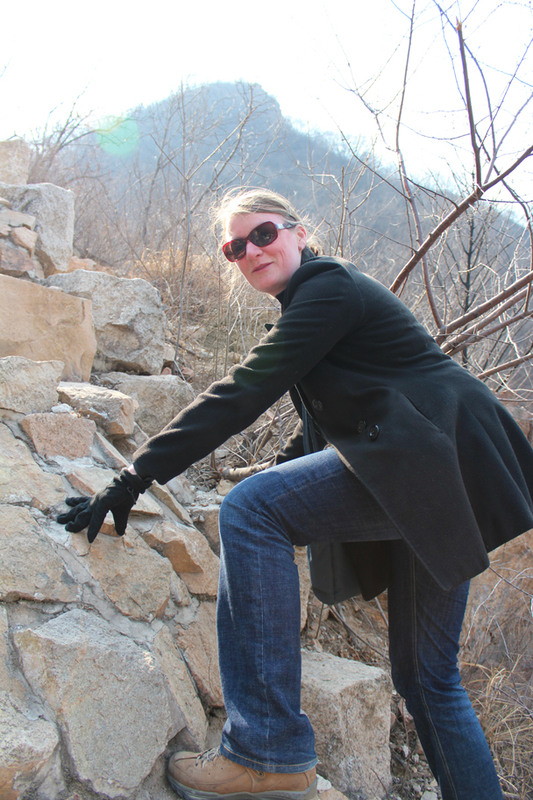 Our hike took us up on to a restored section of Great Wall. Jon is taking a break. Louise's view from the top. 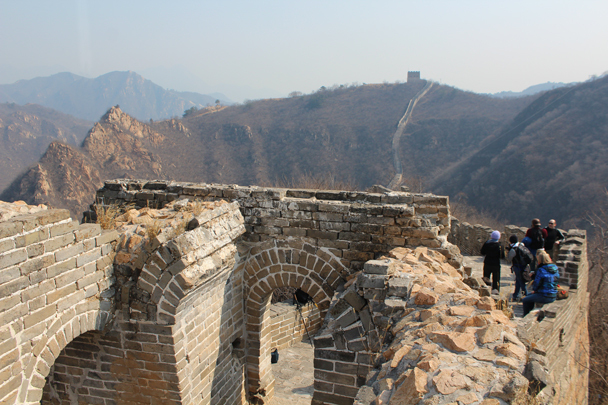 We'd be heading for the tall tower on the other side. 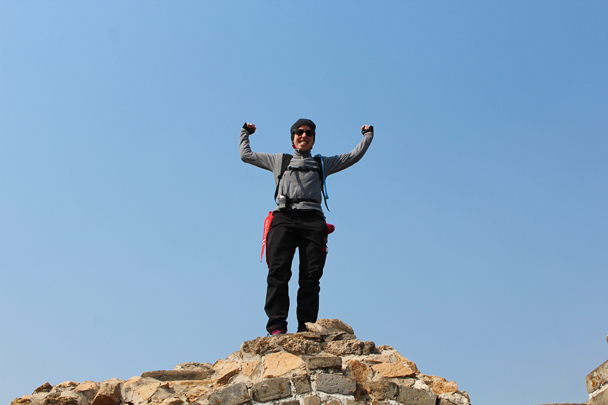 Louise is coming down from the top! 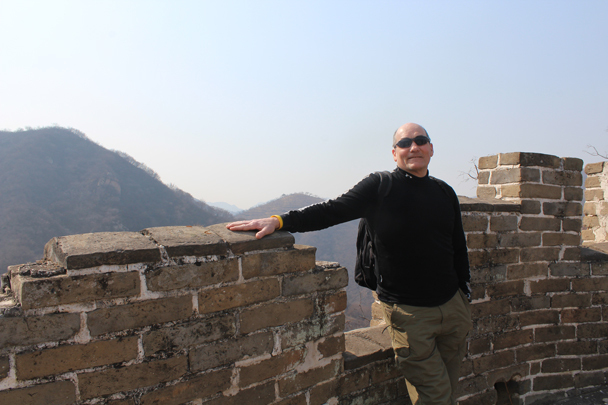 A few photos before the beginning of the big climb up the other side. 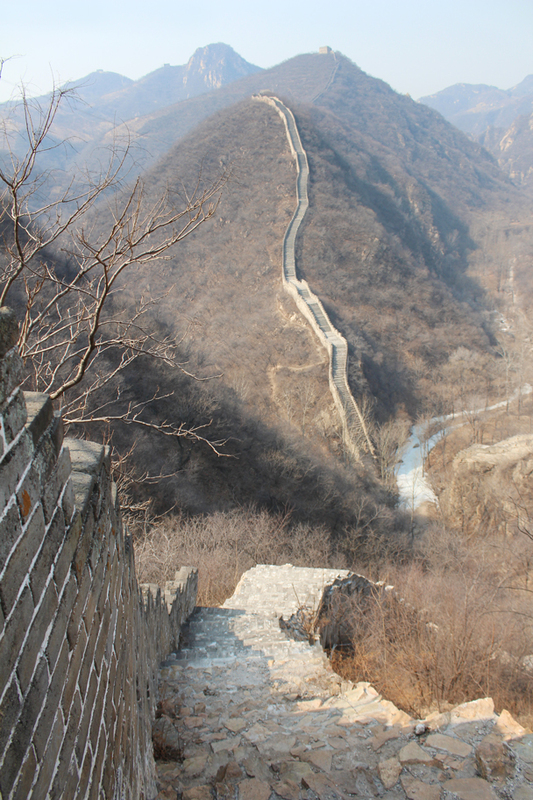 This is a restored section, and rather tricky to climb. 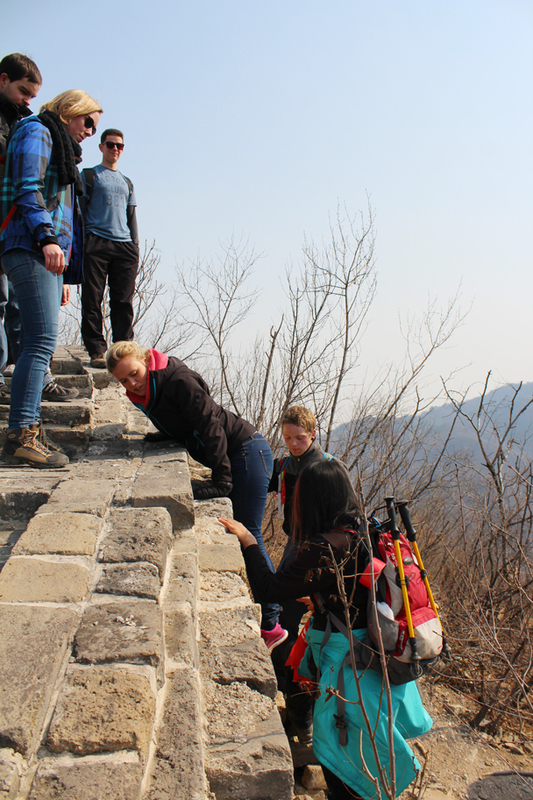 A really steep part of the climb. Looking back down. 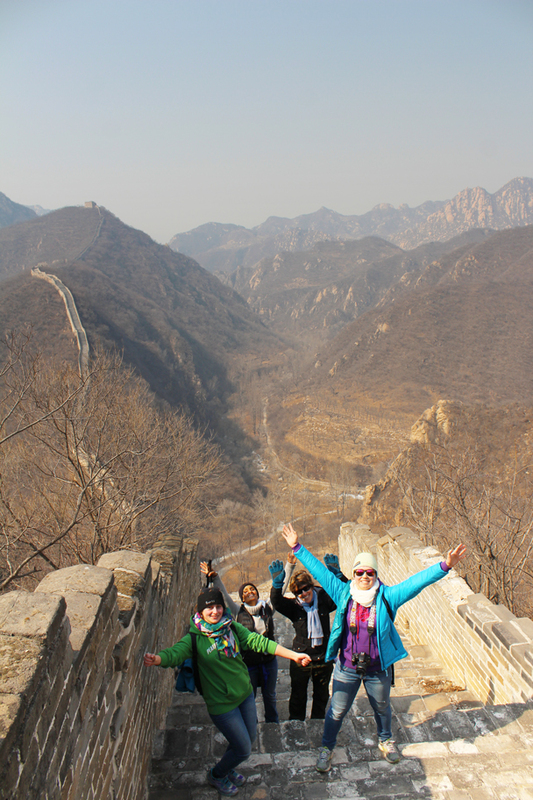 We came over from the Great Wall in the background. 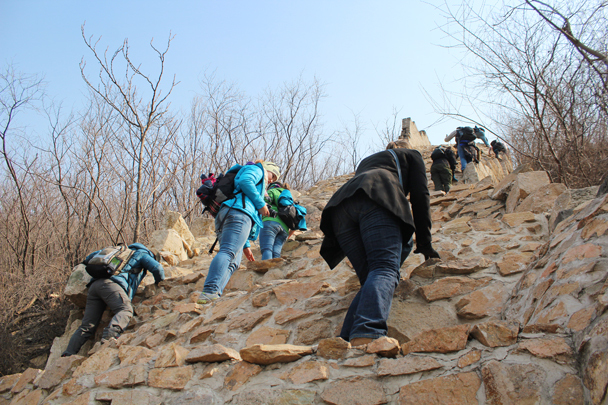 We finally got to the top of the steep section. 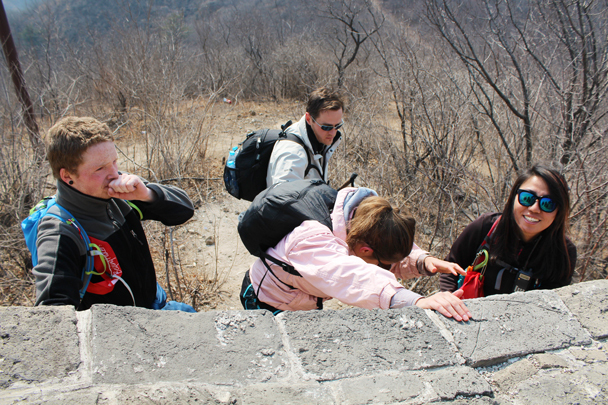 We all needed time to catch our breath after that steep climb. 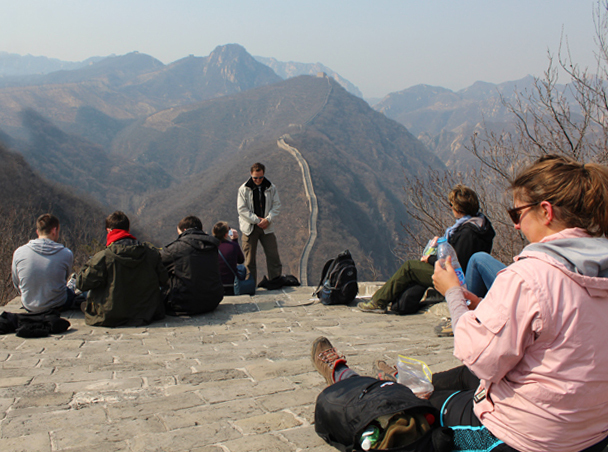 An excellent spot for a break, superb views all around. 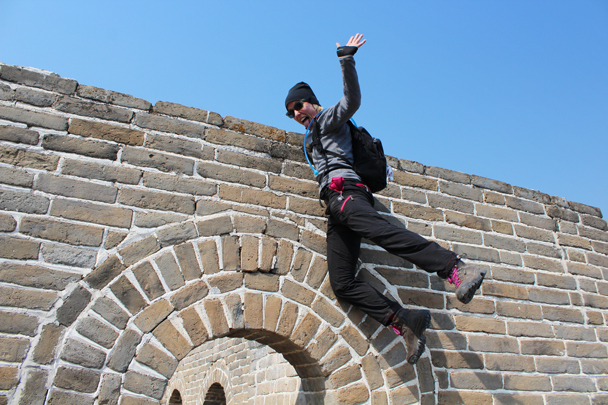 Here we had to jump off the wall. 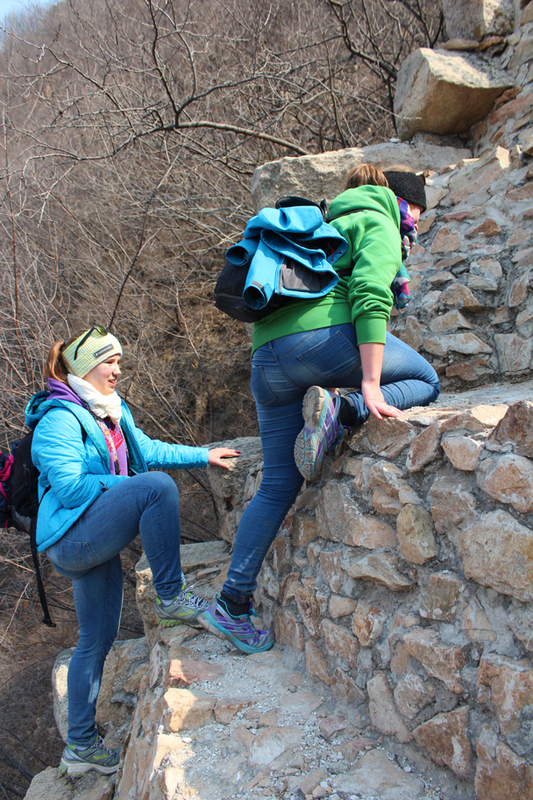 We climbed back on the Great Wall around the corner. Down below, the reservoir was still frozen. 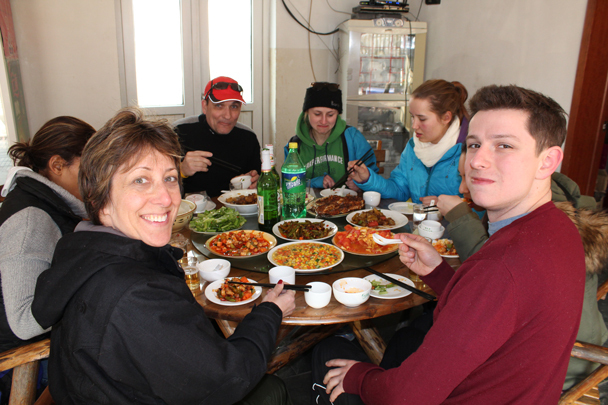 After the hike we enjoyed a big meal at a countryside restaurant.